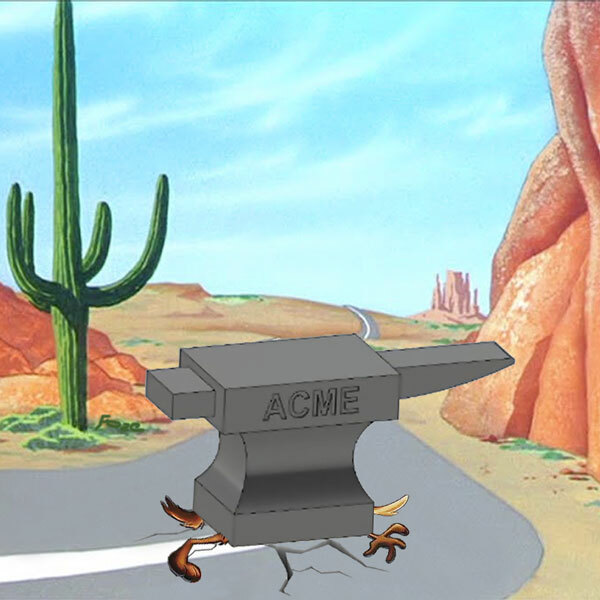 Recently, in a desolate stretch of road in the American southwest, a large falling anvil was threatening to crush this unfortunate, hunger-stricken coyote. Amazingly captured in breathtaking detail by a nearby Faze photographer, you won’t believe what happened next. 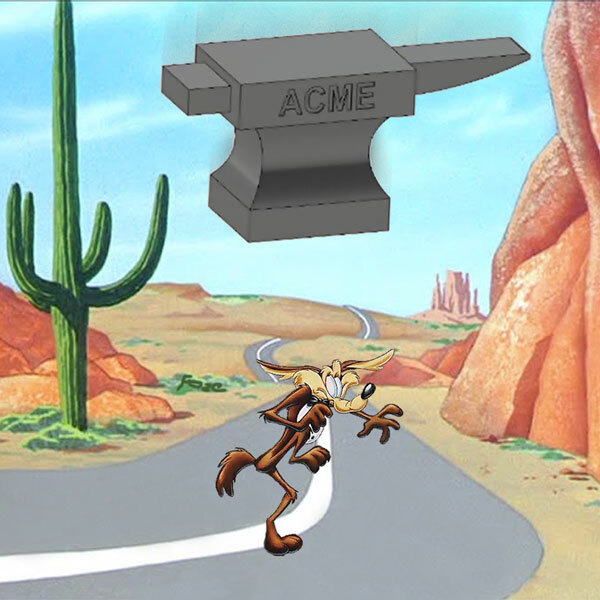 Despite being aware of the imminent danger, the coyote seemed to freeze and made no attempt to escape the 1.5 ton hunk of iron plummeting down upon it. This just broke our hearts. And there was nothing we could do to help. And then this happened. And our jaws dropped. A bird common to the region leaped on top of the anvil and seem to display what can only be described as gloating behavior. Truth can really be stranger than fiction sometimes. Wow. 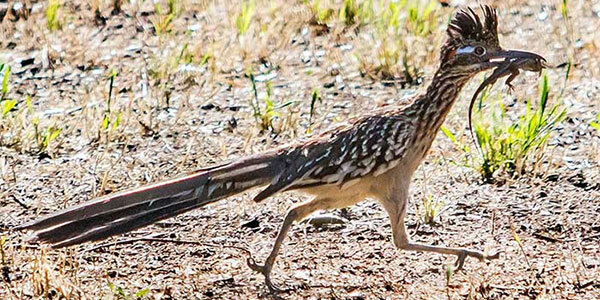 Meanwhile, coyotes can run more than twice as fast as the speedy road runner (70 km/h). 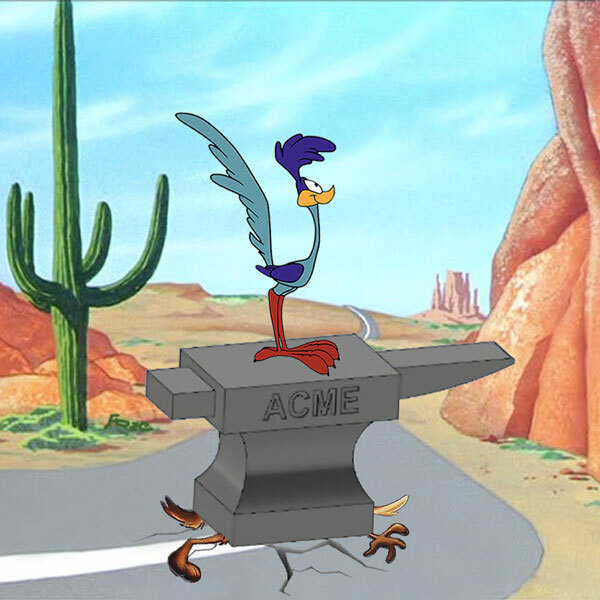 Thus, to escape a pursuing coyote, a road runner needs to fly to safety. 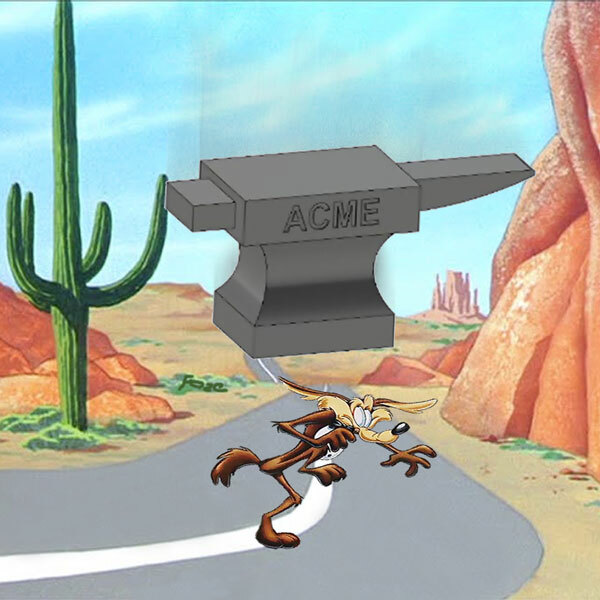 Or hope an anvil hits the coyote first. Boulders work too.